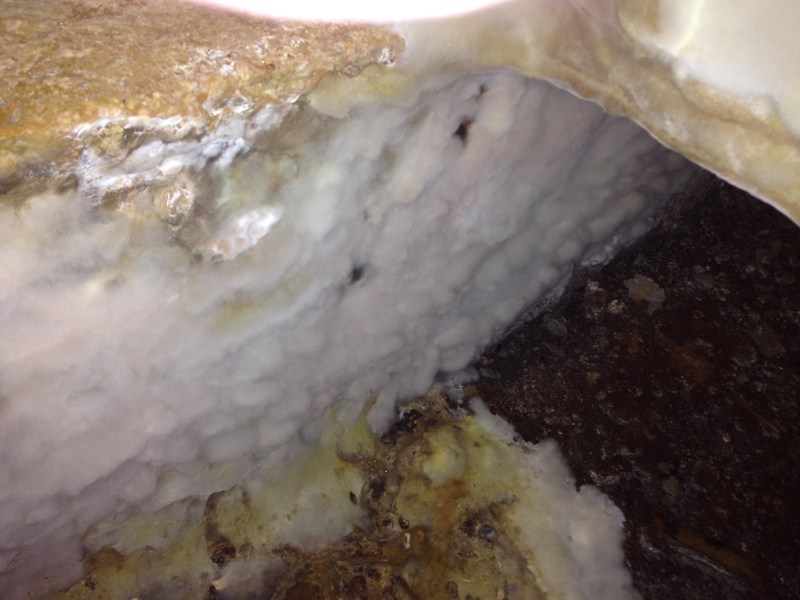 A wet winter followed by a warm summer means ideal conditions for the growth of the Dry rot fungi. 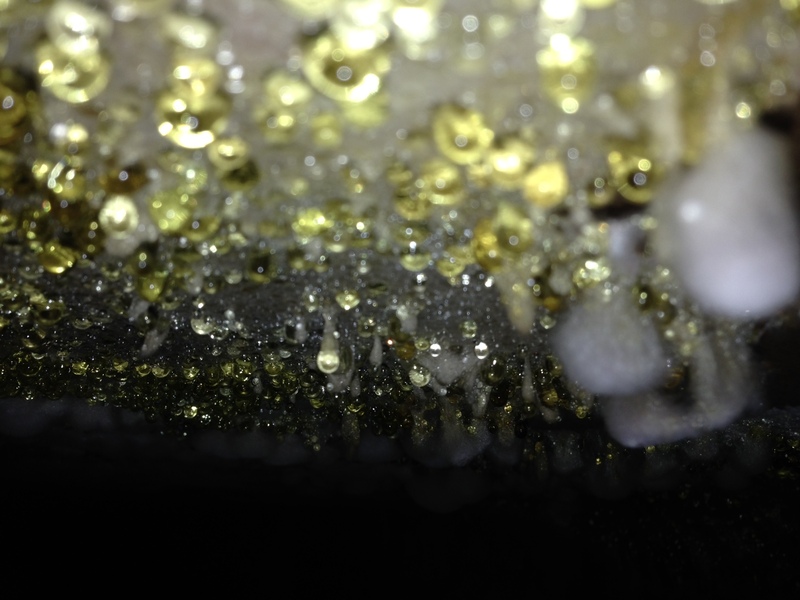 A poorly maintained property, where excess water is permitted to enter the fabric of the building through the wetter Months, sets up ideal conditions for germination and often abundant growth of wood rotting fungi through the warmer Summer Months. Water ingress is one of the major factors in producing an environment ideal for growth. If we use timber as an example of food; the spores land on damp timber, feed off the timber and “rot” the wood,. This eventually over time results in the complete breakdown of the structure of the wood, which could be your first indication of a problem. Dry rot spores are always present in the atmosphere and simply need to find the right environment for germination. Germinating spores produce hyphae (strands). Like roots, the hyphae strands grow and then colonise to produce mycelium growth as shown below. 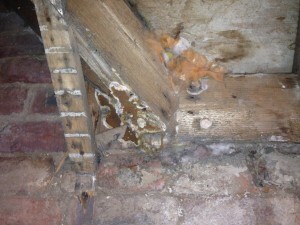 If one of the 3 elements is then removed (such as the water drying due to a long hot summer),the Dry Rot becomes “stressed” and produces a fruiting body (sporophore), which sheds its spores into the atmosphere in an attempt to reproduce and continue the lifecycle and growth of the Dry Rot fungi. If you think you have any of the signs of Dry Rot the most important thing is to act quickly. 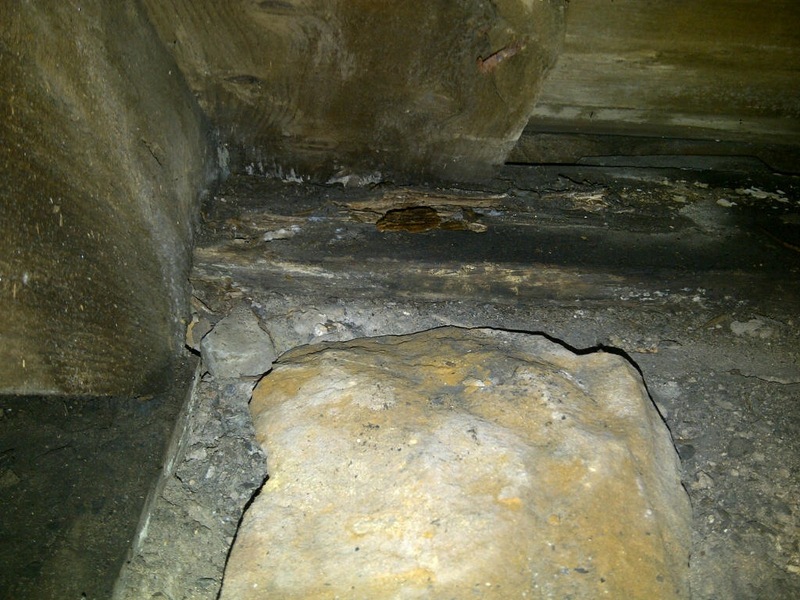 Dry Rot favours dark, damp conditions and is thus often difficult to locate (under floors and within roof voids). However once discovered , it can be readily eradicated simply by taking better control of your home environment, repairing any building defects that have contributed to the outbreak and of course the specialist use of timber and masonry preservatives and appropriate re-instatement works. You’ve been referred to The Preservation Society for a specialist survey – what exactly can you expect to get for the pricey of a survey? For a start you will benefit from our Managing Director Gavin White’s thirty solid years of experience in the building preservation industry. White holds CSRT status and Hidden Defects Insurance Auditor status – both qualifications cement The Preservation Company’s ability to fully assess properties and undertake a full property ‘Health Check’. All initial survey requests will be carried out by one of our CSRT certified Surveyors within 24-72 hours. An average survey takes between 60 and 90 minutes and, unless we have been instructed otherwise, we feel we are only doing the client a true service if we examine all of the potential issues that may affect the property in the short, medium and long term. 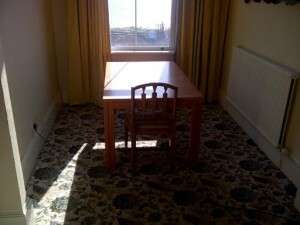 Of course, the time spent surveying your property depends very much on the size and accessibility of the building; an empty house minus furniture or floor coverings is far more straightforward than a fully furnished premises! Bespoke reports are sent out via email within 24 hours of survey completion and you can expect our findings to be highly detailed and several pages in length. Surveys include photographic evidence of any problems found and White’s professional advice as to whether or not any areas need further attention. 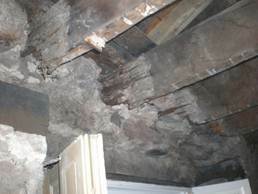 Should our survey uncover issues that require remedial treatment, The Preservation Company is of course well equipped to carry out that treatment and will refund the survey fee from the completed contract invoice. 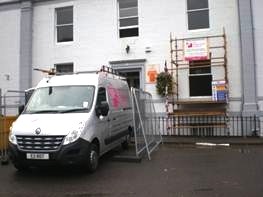 Our team have specialised in preservation and repair for most of their working lives and combine over 100 years of experience and skill, so you can rest assured your property would be in excellent hands as we attend to any condensation, rising damp, penetrating damp or rot found during the survey. 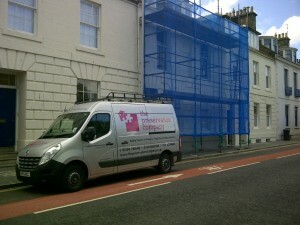 If you need a survey to be conducted as part of a home report, or you have recently discovered cause for concern within your existing property, why not contact us here – we provide surveys for both residential and commercial buildings and would be only too happy to give you the benefit of our expertise. Autumn in Fife: fresh bright mornings, beautiful colours, striking scenery and… rain. As much as we’d like to ignore it, the truth is that Scotland’s rainfall is the highest in the UK, with last year’s September/October drizzle clocking in at 150% over met office averages. 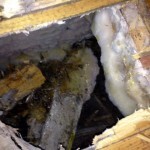 Unfortunately, water can have a devasting effect on your property and the invitable leaks brought on by autumn showers can lead to wet rot, or its more harmful cousin, dry rot. 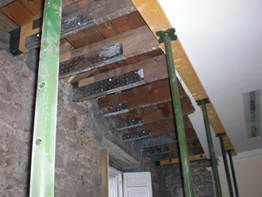 Both can ultimately cause structural defects in your building. Autumn is a good time to give your property a once over; especially as leaves start to fall you should regularly check your guttering, pipework and other drainage systems for blockages and leaks. It is worth also examining your roof for missing slates or tiles, which could provide heavy rainfall with an entrance to your property and pave the way to serious internal problems. Leaking gutters and roofing defects can cause penetrating dampness, which can prove tricky to pinpoint without the help of a damp expert. It is vital never to ignore any obvious signs of water seepage and contact a surveyor at the first sign of dampness, either inside or outside the building. The Preservation Company, owned and managed by Gavin White, can effectively treat and remove dry rot, wet rot, woodworm and many other forms of fungal decay. 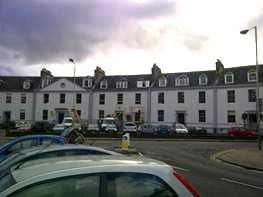 Based in the historic city of St. Andrews, our main areas of operation include Fife, Dundee, Perth, Edinburgh, Dollar and Stirling. At the completion of all contracts we provide the option of a 20-year peace of mind guarantee, so why not contact us to see how we can dry up your dampness concerns today? Back in June we were proud to announce sponsorship of STAAG (The University of St Andrews Adventure Group): an intrepid bunch of students on a 10,000-mile pan-continental expedition to raise money for GoHelp’s charity project in Mongolia. 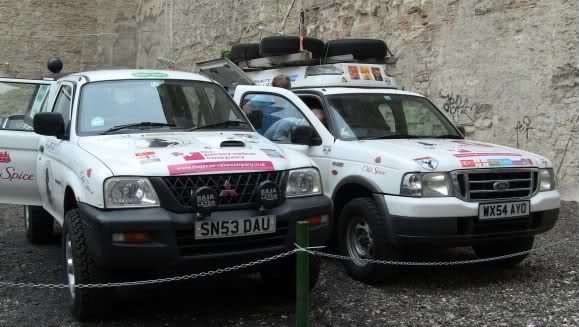 The STAAGs were taking part in the Mongol Rally; a marathon road trip in which 879 teams cross 10,000 miles of mountains, deserts and rough terrain to reach their final destination: Ulan Bator, Mongolia. Maybe you noticed the official STAAG Mitsubishi, ‘Mitsy’, driving around St Andrews beforehand with The Preservation Company’s logo on display. These courageous students commenced their mission on 14th July 2012 at Woburn safari park. Led by team member Tom in Mitsy, the crew set off on their epic road trip, journeying across inhospitable lands to the ancient Mongol capital. Throughout the course of the rally, other vehicles such as the team’s Ranger gave up the ghost, but not so Mitsy, who soldiered on to her ultimate destination. For a highly entertaining account of Mitsy’s many adventures, read more about the STAAGs’ epic mission on their official blog. Here at The Preservation Company, we’re passionate about our surroundings. Our magnificent medieval town of St Andrews is teeming with cathedrals, castles, botanic gardens and country parks, and boasts some of the most beautiful coastlines and golf courses in this part of the world. 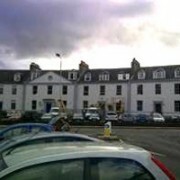 St Andrews is also home to Scotland’s first university, founded in 1413 and still thriving today. 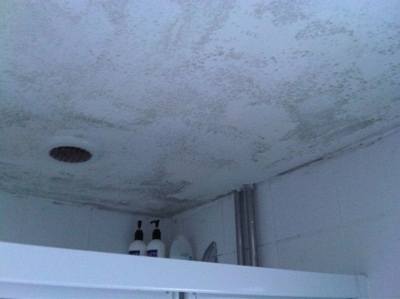 Something we see quite a lot in our remedial work is properties that have been used as student accommodation and have, over the years, been somewhat neglected both internally and externally. 13 Greyfriars Garden was no exception to this rule. 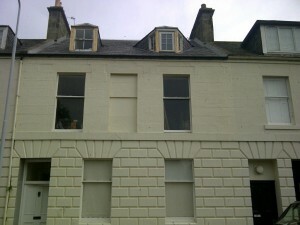 When Kevin Mullins (the current owner) bought it, this typical first and second floor St Andrews terraced property was in dire need of attention. 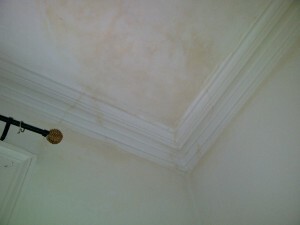 Rainwater ingress through aging roof coverings and gutters had caused some serious internal issues. 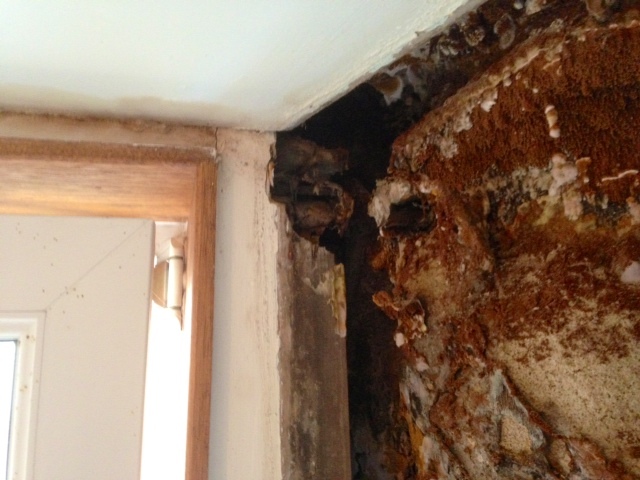 We discovered penetrating damp and wet rot to joist ends, rafters and wall strappings, and plaster damage among other problems. 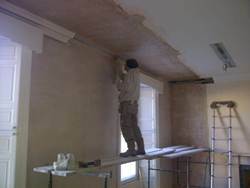 Over the course of our remedial treatment, we stripped back the damaged areas, treated all remaining timbers, replaced the plasterwork and framing, renewed the lintels in concrete and made good all areas, including the traditional ornate cornicing. Now the owner can continue his refurbishment of this centrally placed character house safe in the knowledge that rainwater can cause no further damage. 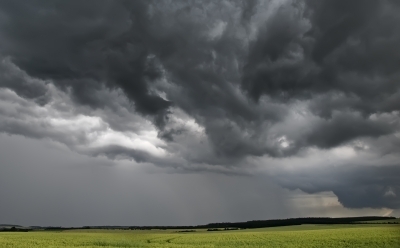 If you have concerns about how this wet autumn weather might be affecting your property, contact us today: we’d be happy to help. 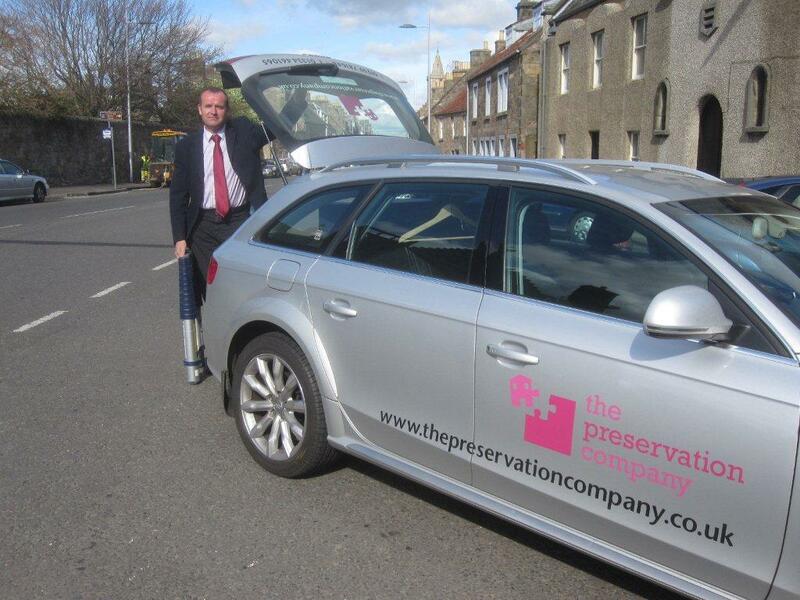 The Preservation Company is delighted to announce the sponsorship of a hole on Muckhart Golf Course. The popular course easily rivals other more famous golfing havens, such as those at Loch Lomond and Gleneagles, for spectacular scenery as it is located at the very foot of the majestic Ochil Hills. The Ochils form one of the most striking hill-profiles in Britain, visible from anywhere within a broad arc from Stirling in the South-West, to the Kincardine Bridge in the South-East. Muckhart Golf Course itself is ideally placed in central Scotland as it is within no more than an hour’s drive for most of our country’s golfers. 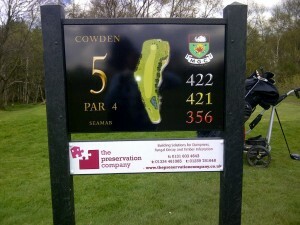 A total 27 holes of golf are offered over three nine-hole courses (Cowden, Naemoor and Arndean) and the club sits right at the heart of the Muckhart community, providing the ideal spot to relax and unwind for amateurs and professionals alike. The Preservation Company joins other local companies and fellow golfing enthusiasts including Blinkered Digital Marketing, Scott Marshall Joinery and Colorado Group on the Cowden Course. Number Five is the hole of choice – we hope to see you there. 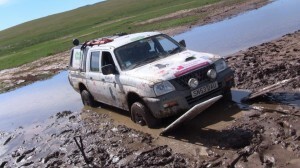 Gavin White of The Preservation Company is proud to announce sponsorship of STAAG (The University of St Andrews Adventure Group): an intrepid team of students on a 10,000-mile pan-continental expedition to support the GoHelp charity and its project in Mongolia. Over the last few years, the STAAGs have organised and run numerous adventurous charitable events including long-distance canoe and cycle treks, and have donated thousands of pounds to Alzheimer’s Society, Save the Children and Young Heroes in the process. 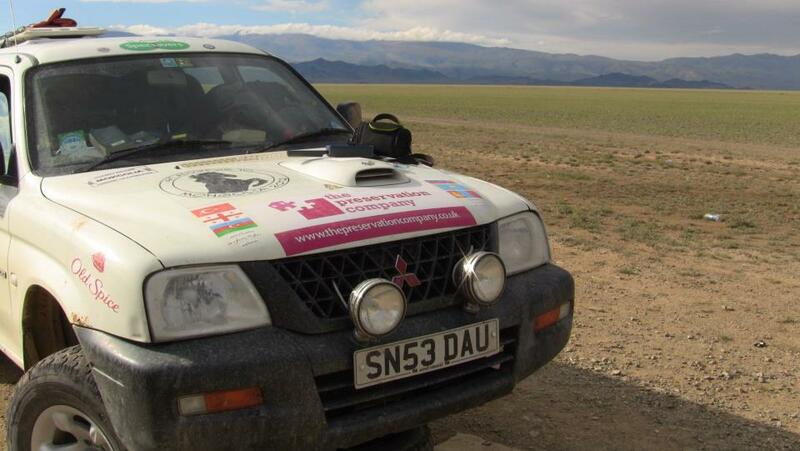 This year they have chosen to support GoHelp’s Mongolia Charity Rally – an epic road trip commencing in London and journeying across mountain ranges, deserts and other inhospitable lands to the ancient Mongol capital of Ulaanbaatar. GoHelp is a UK-registered charity that is committed to helping communities in Central Asia improve their access to healthcare and education services. The Preservation Company joins other sponsors including Specsavers and law firm Murray Donald Drummond Cook in support of this most exciting cause and wishes the STAAGs the very best of luck. 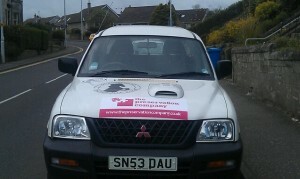 Keep an eye out for the official STAAG Mitsubishi driving around St Andrews with our logo on display. We have been asked many times what separates us from the competition, what is it that makes us better than the rest? Like most things in life, the biggest differences are achieved by getting the small things right. One of the ways we do that is by leaving a home the way we would like our own to be left after tradesmen visit to carry out the necessary work. 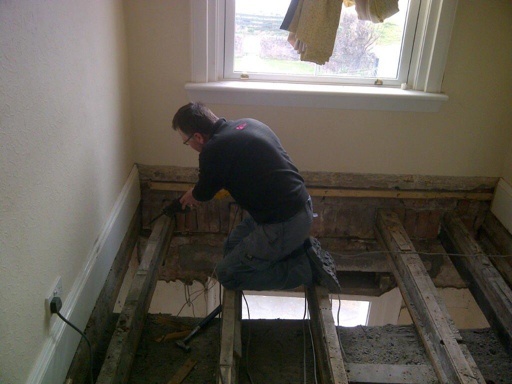 In conjunction with the proprietor of the ground floor property, all decayed joist ends were cut out and new joists attached, floor deafened and new flooring laid over. We started work on this property on the 19th March and completed the work, which included relaying the floor and carpet, by the 21st of March.